The attorneys of the Oxman Law Group have broad experience in representing the interests of its diverse business clients. Companies and individuals entrepreneurs rely on the Oxman Law Group to protect its interests in disputes with its customers, competitors, employees and government agencies. Its reputation as strong and successful litigators has proven valuable in inducing quick and cost effective dispositions. However, when called upon, representation at trial, during appeal, and through the enforcement of judgement is an Oxman Law Group strong suit. Often, the most contentious form of litigation involves the breakup of business relationships. 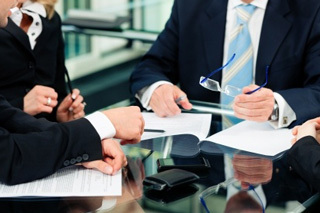 The Oxman attorneys are skilled in negotiation and litigating business divorces. Working in association with a talented group of accountants, appraisers, asset management professionals and re-organization attorneys, the Oxman Law Group covers all of the bases.